Welcome onboard! This is your first stop on your Snapppt journey to increasing your sales by letting your followers shop your Instagram anywhere. Visit getsnapppt.com and click on Sign Up. 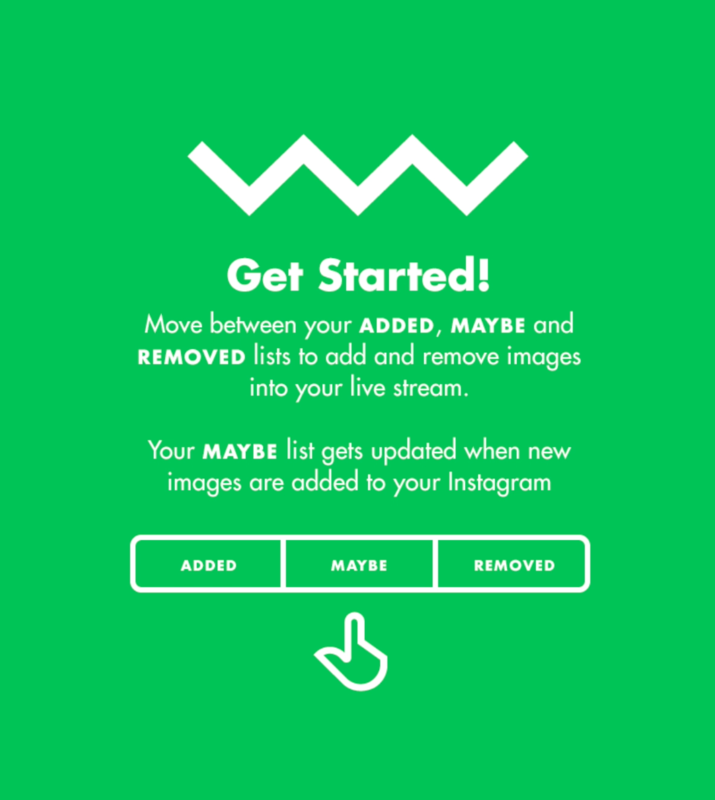 You will then be prompted to sign in with Instagram or email. 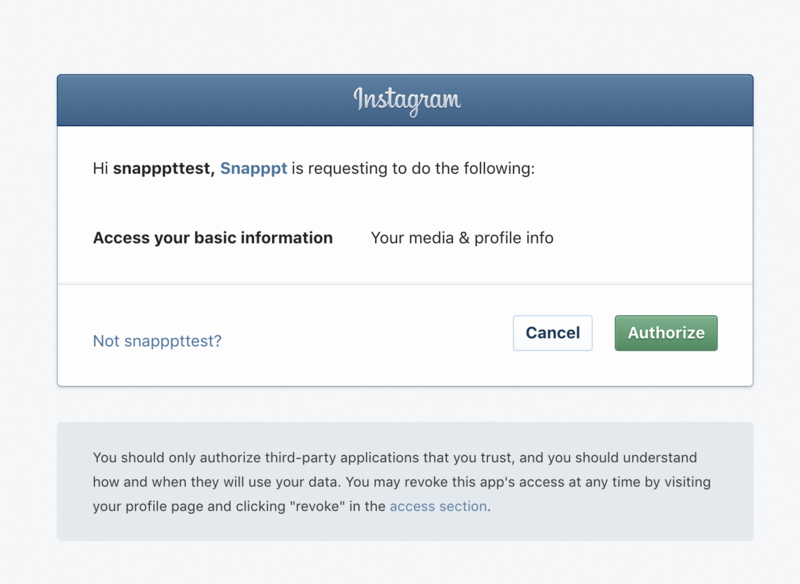 Snapppt will use your Instagram feed later to make it shoppable, so it is advisable to login with Instagram. Enter in your username and password. You will then see an authorization window. Click Authorize to get to the next step. The final section is to fill out your personal details. Enter in your email and a password to login to Snapppt with. Here you can link to a e-commerce platform. You will notice here that when I click on a supported platform, I am prompted to enter in my stores website. 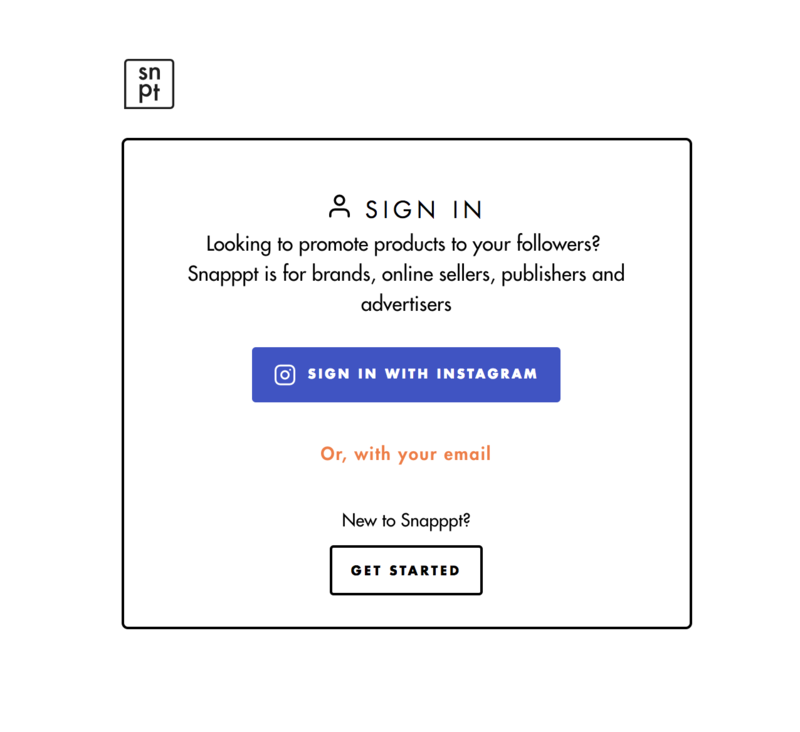 Snapppt is compatible with products from other E-commerce sites even if not listed in the drop down menu as you can easily copy and the paste the product links you'd like your images to link to. Follow the Getting Started guide which appears after you have clicked finish. Check out this guide to start curating the content within your shoppable Instagram.